MASCOT® FOOTWEAR ENERGY raises the bar for safety footwear. You get the best from two worlds: super comfort, a low weight and an extraordinarily shock absorbing sole combined with complete safety. 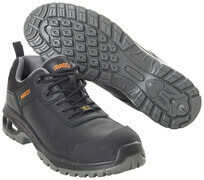 What separates MASCOT® FOOTWEAR ENERGY from other safety shoes is the shock absorbing soles made from ETPU. 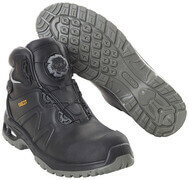 The soles make the safety shoes extremely shock absorbing and comfortable at the same time. Every time you take a step, the sole absorbs the shock that would otherwise propagate in the legs, back and body. It gives a walking comfort beyond the usual. 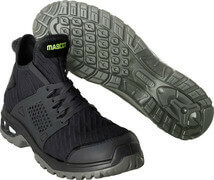 The inner materials in MASCOT® FOOTWEAR ENERGY are metal free. This makes the footwear extremely lightweight, while ensuring that the footwear doesn’t conduct heat or cold. This is especially an advantage if you work on particularly cold or warm surfaces. 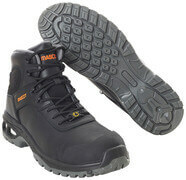 The protective toe cap is of composite, while the nail protection is made of an advanced, durable textile. All materials are chosen with a focus on giving the MASCOT® FOOTWEAR ENERGY collection the lowest possible weight and the highest possible flexibility. Beyond the flexible nail protection, all materials in the metatarsal area are extremely flexible, so the shoe follows the foot and supports every movement. All styles in the collection have non-marking soles, so they don’t rub off on, for example, newly laid floors. All shoes and boots in MASCOT® FOOTWEAR ENERGY are approved according to EN ISO 20345:2011, safety class S1P, just as all styles have heat resistant soles up to 140 °C, ladder grip for a better foothold on ladders, as well as an oil and petrol resistant outer sole. 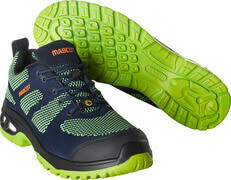 MASCOT® FOOTWEAR ENERGY is not only great comfort; it is characterised by a modern, sporty design. Some styles in the collection are made with an elastic upper material that almost feel like an extra sock. The soft, elastic material is close-fitting at the foot and gives good support when moving. 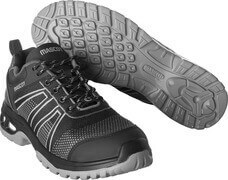 The flexible fit, the good comfort and the modern design are just a few of the elements that our testers in the trade and construction industries, who tested MASCOT® FOOTWEAR ENERGY, have commended.